The Series 7 exam will consist of 260 multiple-choice questions that cover five different functions. 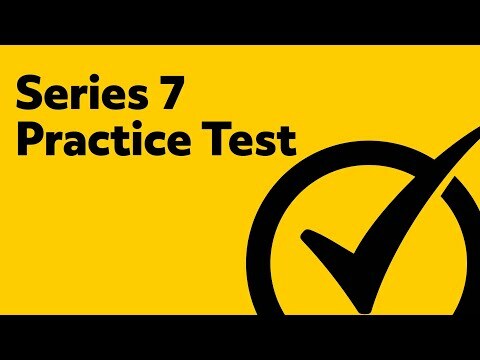 Take the sample Series 7 questions below to see how prepared you are for the Series 7 test. The official six hour test, broken into two – three hour segments, two hundred and sixty questions (which includes ten example questions), is designed to validate and assure that each sponsored candidate can perform all the basic requirements and functions of a registered representative. 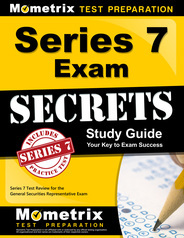 The Series 7 Study Guide provided by Mometrix, as well as the Series 7 Flashcards, are specifically designed to help you obtain the very best test score possible. What Does the Series 7 Cover? What is the Series 7 Exam? FINRA was created in September, 1974, to enforce laws based on the federal security regulations. It is the largest self-regulating organization that oversees broker/dealers. This regulating authority and the Securities and Exchange Commission (SEC) are the two leading regulatory bodies to ensure that the integrity and fairness of the Stock market and to prevent a repeat of the stock market crash like the one in 1929. The Series 7 Exam is a way for FINRA to ensure that the registered representative is knowledgeable in the market and can navigate their clients through the highs and lows of stock market fluctuations. The test also covers many investment scenarios that require the best answer according the specific investment criteria and what is best for that specific client. The candidate must be sponsored by a financial company who is a member of FINRA or a SRO. Each time you sit for the test, the fee is $305.00. If you do not pass (72%), there is a 30- day cooling off period. What is a Series 7 license? The FINRA Series 7 is a license exam that is taken by stockbrokers in the United States that enable them to trade and to sell a wider range of securities. The exam focuses on investment risk, taxation, equity and debt instruments, packaged securities, options, retirement plans and interactions with clients. The registration for the Series 7 exam costs $305. If you want to get your Series 7 license, you will be required to first be sponsored by a FINRA member firm or a SRO (self-regulatory organization). The Series 7 exam consists of 260 questions that are broken up into two 3-hour segments. Out of the 260 questions on the exam, 250 are counted towards your final score. To be considered as passing the Series 7 exam, candidates will need to score at least 72 percent. Yes. To take the Series 7 exam you are required to be sponsored by a FINRA member firm. You do not need to have a formal education in order to take the Series 7 exam. Mometrix Academy is a free source of information provided by Mometrix Test Preparation. If you find this helpful in your studies, there are concise study guides and flash cards that you may purchase to extend your Series 7 knowledge, as you prepare for the test. Purchasing these study tools increases your chances at a higher score and supports additional free content for test-takers like yourself. The first function has 68 questions associated with how a Registered Representative finds additional business for the sponsoring Broker-Dealer. These questions focus on the tasks and rules associated with the process of finding these potential clients. When a registered representative contacts a potential client via in person, email, phone, mail, there are certain rules and regulations that must be met. Once the client is contacted, the way the investment products and services are discussed and presented must also follow proper guidelines. The use of advertising, seminars, lectures and group meetings with potential clients must also follow the proper protocol. The next function has 27 questions associated with how a Registered Representative evaluates security holdings and meets financial needs through proper investment objective appropriate to each individual client. Knowing the full spectrum of the client’s investment portfolio holdings, financial situation, tax status, and risk tolerance helps determine the suitable investments for the client. Opening accounts, transfers funds and maintaining appropriate account records is covered in 27 questions of the exam. The Registered Representative must obtain correct client information and documentation according to the federal regulations. Informs the clients of the different types of accounts available and their restrictions, including proper disclosures. The Registered Representative must also be able to recognize suspicious activity in an account and how to report to the regulatory authorities. If the account is a special account like; a power of attorney, trust documents, Transfer on Death, Corporate account, the proper documents must be collected. Retains copies and approvals in the client file, as well as, copies of all customer correspondence. The Series 7 practice tests covers seventeen major knowledge areas a Registered Representative must know, as well as, the corresponding rule. Here is an overview of what a candidate would see on the test. There are seventeen in depth, very detailed functions and tasks that are associated to multiple Rules and Regulations that must be memorized and retained for the Series 7 Exam. This is where the Series 7 Practice Test and the tools Mometrix provides you becomes vital in your test taking ability. The knowledge of regulatory requirements when dealing with the public and the ongoing education of registered representatives. This includes proper disclosure and delivery of disclosures for multiple investment securities and the requirements that must be followed. The rules on accepting certain forms of gifts or gratuities, non-cash compensation, referrals, government contributions and business entertainment. Concise knowledge of each potential and existing client by collecting the pertinent information in making an investment selection. Knowing which account to open that coincides with the recommendation and the required approvals for those accounts. Required documentation and disclosures for each different account. Such account types are: Margin, Trust, UGMA, IRA, Joint with Rights of Survivorship, Variable Annuity, to name a few of the many different accounts available. The rules and regulations for maintaining these accounts are extensive. Understanding proper business conduct and procedure when providing clients with investment recommendations and the prohibited conduct as well. Disclosing all fees and protection of SIPC and FDIC. To know all the different types of security quotes, orders, requirements and execution of stocks and investments traded on the open market. Professional conduct and ethical regulations for all activity by a registered representative. Regulatory rules over conflict of interests, complaints, regulatory bodies and litigation. Knowledge of how the primary and secondary markets work on all the different types of investments. Stocks, new issues (IPOs), private placements, municipal securities and bonds, where they are traded and how they can be traded, as well as, the regulation and rules that must be followed. To see these list in their entirety, please visit Finra.org. As you can see this test is exhaustively extensive in its coverage of the world of investments. This is why the Series 7 Practice Test is such an important tool for succeeding. The Mometrix Series 7 Practice Test will get you comfortable with the type of questions and how the questions are asked well before you sit down and take the actual Series 7 Exam. The Series 7 Test multiple choice questions have six different styles, as well as, problems that need to be calculated for puts, calls and margin on trading. Knowing how a question will be asked, by studying the Mometrix Series 7 Practice test, helps you answer the questions faster and with more confidence, since you will be familiar with the type of questions. The first example of a question is Closed-Stem, is a complete sentence that ends with a question mark. The four to five answer choices that you will choose from will be in the form of a complete or incomplete sentences. The second style of question is the Open-Stem, which is an incomplete sentence with the answer choices completing the sentence. You should choose the answer that best completes the sentence. Thirdly, is the Most/Least/Best question, which will ask a question that requires you to choose the best answer possible from the choices given. If there is more than one correct answer, you should choose the best answer. Next is the EXCEPT or NOT style of question, which gives all correct answers to the question but one. You must choose the wrong answer. The Complex Multiple-Choice “Roman Numeral” Format is asked in two different formats. You must either, determine the correct sequence of events of all the choices in one format, or select two or more choices that are both, or all, correct in the second format. Finally, there are the calculations of buying on Margin, Puts and Calls, which require you to know the specific formulas for the amount of trading allowed on margin. The Series 7 practice exam is a critical tool on passing the Series 7 Exam the first time sitting for the test. Remember, this test is paid for by the Registered Representative’s sponsored Broker/Dealer. 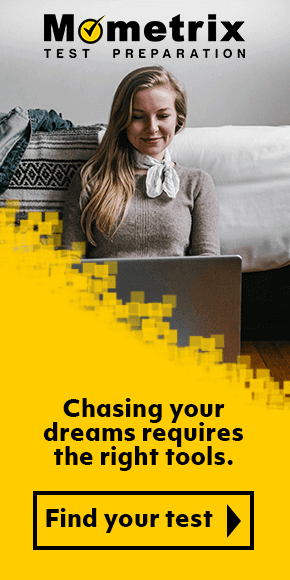 At approximately $300 a sitting for the test, it is vital to pass the test the first time, to show your dedication to learning everything you can about your new career. Do not underestimate this test and go unprepared. Purchasing the Series 7 Practice test a month or two ahead of your scheduled test, and diligently studying daily, will greatly increase your test results. Don’t forget to click on the Series 7 Study Guide and the Flashcard System to add that extra layer of studying. Mometrix Academy is a completely free Series 7 exam prep resource provided by Mometrix Test Preparation. 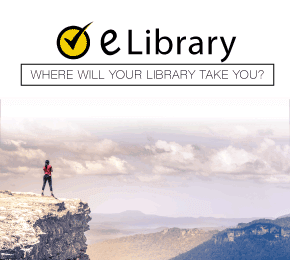 If you find benefit from our efforts here, check out our premium Series 7 study guide and Series 7 flashcards to take your studying to the next level. Just click the Series 7 study guide link below. Your purchase also helps us make even more great, free Series 7 study materials content for test-takers. Our customers love the tutorial videos from Mometrix Academy that we have incorporated into our Series 7 test study guide. The Series 7 study guide reviews below are examples of customer experiences. Excellent guide! I feel the material is organized and laid out very well. The information is easy to read and understand. Having taken the Insurance exam and the Series 65 exam, I have found much of the content written better than my previous exam guide books. Great book just getting into the field there is a lot to learn the study guide makes it easier simplifies the process. The book has a great format brakes it down into easy to understand sections. This guide has been extremely helpful during this process. It puts things in better perspective with examples and the way it’s worded more simplistic. The study tips provided were very helpful as well. I like that the book concisely focuses in on the important concepts that will be in the Series 7 test. I love this book and study guide, very realistic easy to read and goes through the steps very simply. I’m finding this book to be an excellent training tool! It’s easy to understand and is very well organized! It is an impressive looking product. The material is presented in a easy to understand format and the answer explanations of the questions are outstanding.